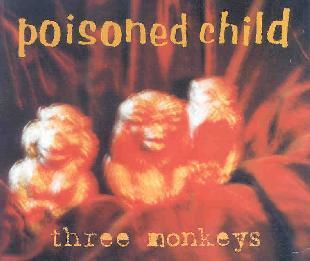 Poisoned Child - "Three Monkeys"
The biography described the band as rock, punk, grunge... Pretty decent description but unfortunately the band don't really make any songs that stand out in any original way at all. "Three Monkeys" is very Nirvana inspired but the harmony vocals are not very good. "Black Paint" is next and a mid paced rock song with a heavy guitar riff and still wearing Nirvana on their shoulder. "Cover" ends the promo CD and I have not really found anything to recommend this band to you. Find a more original sound please. For more information you can visit the Poisoned Child web site at: http://www.poisonedchild.de.